Harv, I don't think you really have a choice here, I think you know you want to join in on the build, so you should just go for it. 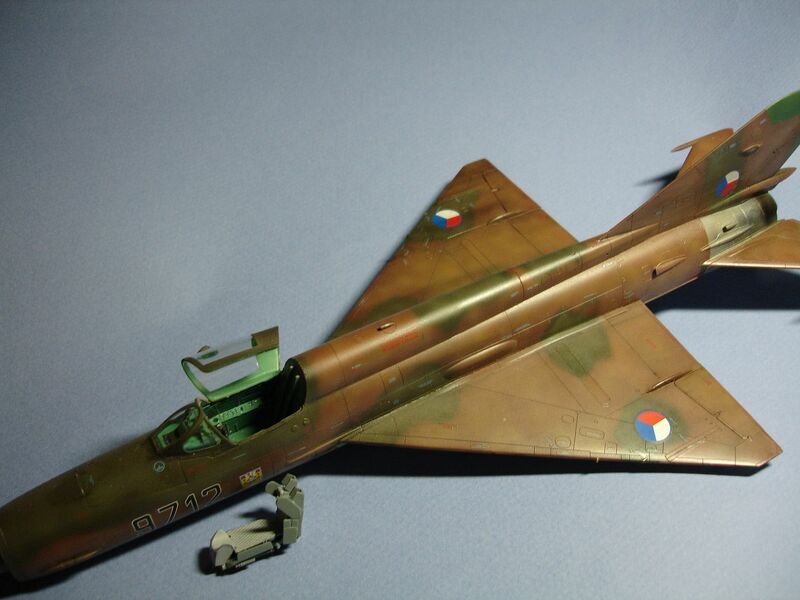 There are some great deals floating around for the Sukhois online. 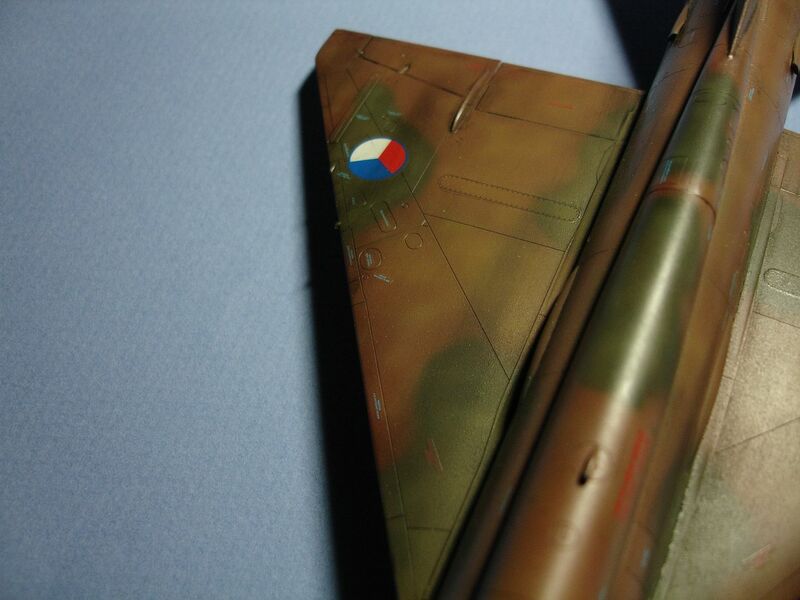 Speaking of the Sukhoi, here's some progress for you. The Eduard set just showed up in the mail today, but sadly I didn't get to paint anything because of the rain, and I had to run back to school for band rehearsal. But I did take a few shots of the Eduard interior set, so enjoy. Here's the big envelope itself, this will be the first time I ever work with the self-adhesive parts, hope I don't screw it up too much here. And what's actually inside the envelope. 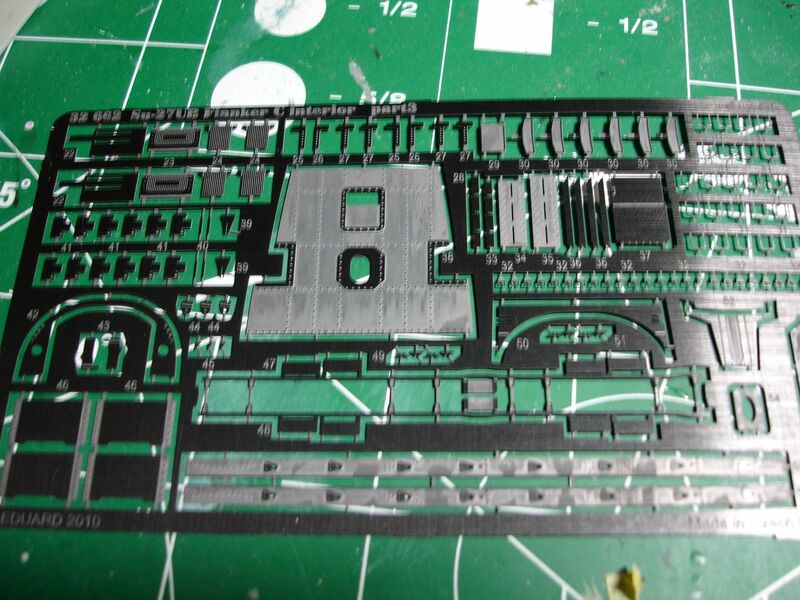 I know I'm going to use the instrument panels and most of the un-painted stuff, but I'm undecided on the sidewalls. I think I did an okay job painting them, but the Eduard stuff is pretty great, with a lot of detail I could never even dream of painting on. Thoughts and opinions? And has anyone worked with the self-adhesive stuff before? Any easy way to do it, and can I still use Future for my instrument glass over the top? 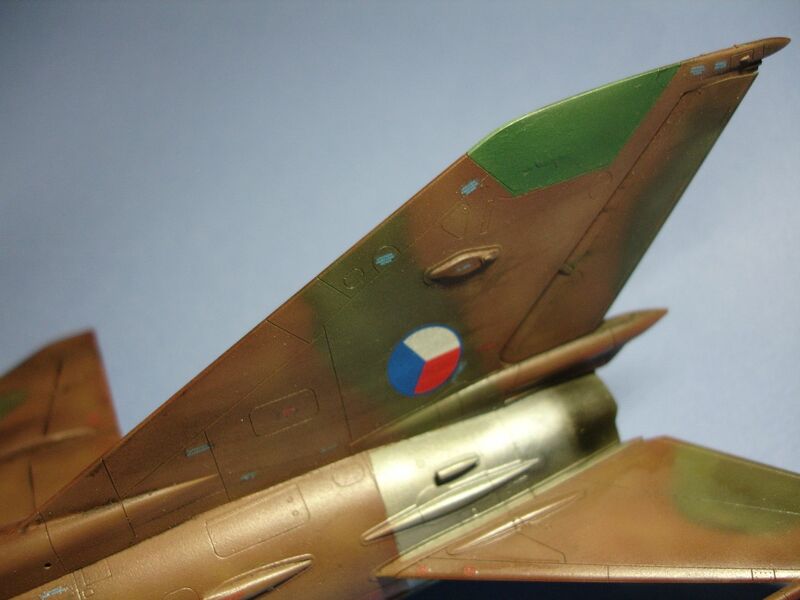 And to also show everyone what was occupying my time since I had ordered the Sukhoi parts, here is the brand new Eduard Mig-21 I've been working on. Amazing kit, tons of detail and darn near perfect fit. Scheme is all free-handed using Tamiya acrylics, and heavily weathered, but I went light compared to some of the photos I have of these birds. Enjoy. First one's a good old overall shot, to show how the whole scheme came out. Here's the cockpit. 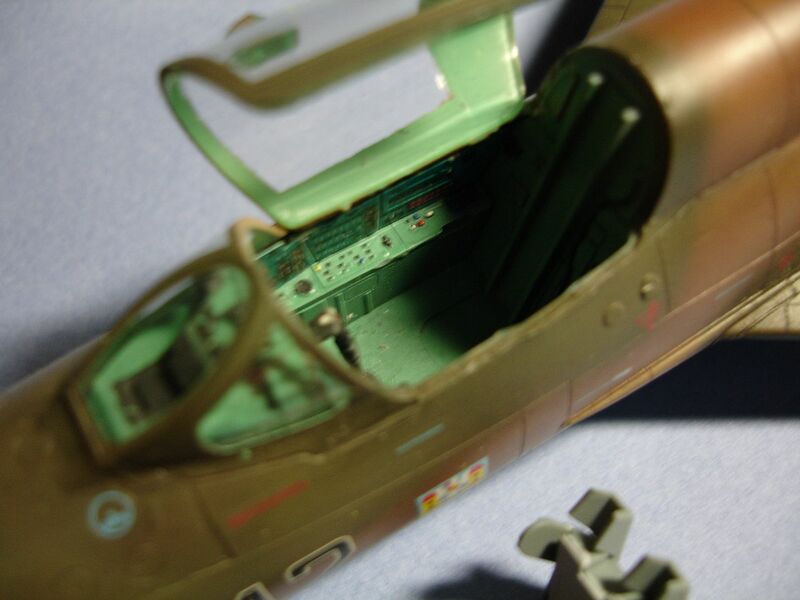 I used Model Master Russian Interior Green, and it doesn't quite match the photo-etch, but it works for me, especially in that small, cramped cockpit. Hope this picture shows the weathering off at least a little bit. That big dark streak is something, I saw it on a few of the pictures I had, so I tried to depict it. 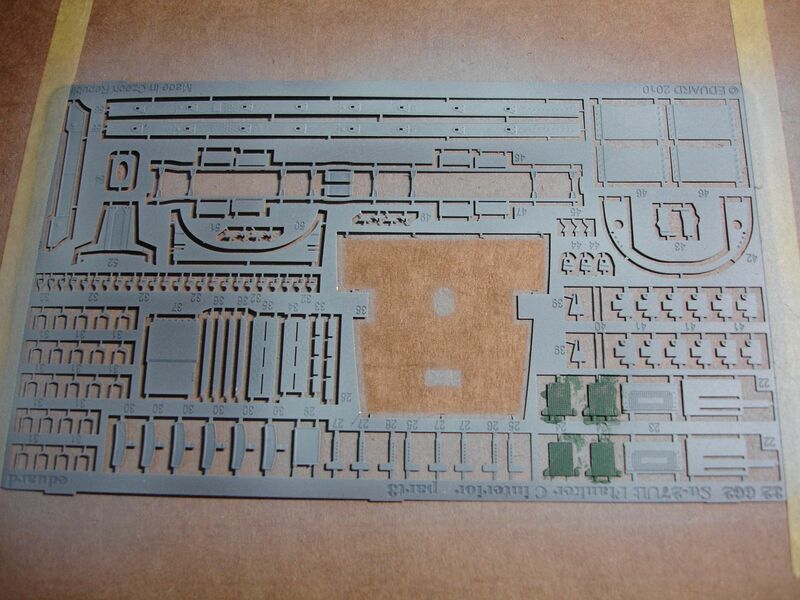 More of the weathering, plus the engines, this part was done with Alclad lacquers, of course. And the underside. I do have a shot of the underside where there is chipping like that, only on the one wing, down to a light gray color, so some liquid mask on a sponge, and that's how it came out. Have no idea what had happened to the real plane, but I thought it looked cool. Longest part of this build was for sure decaling. 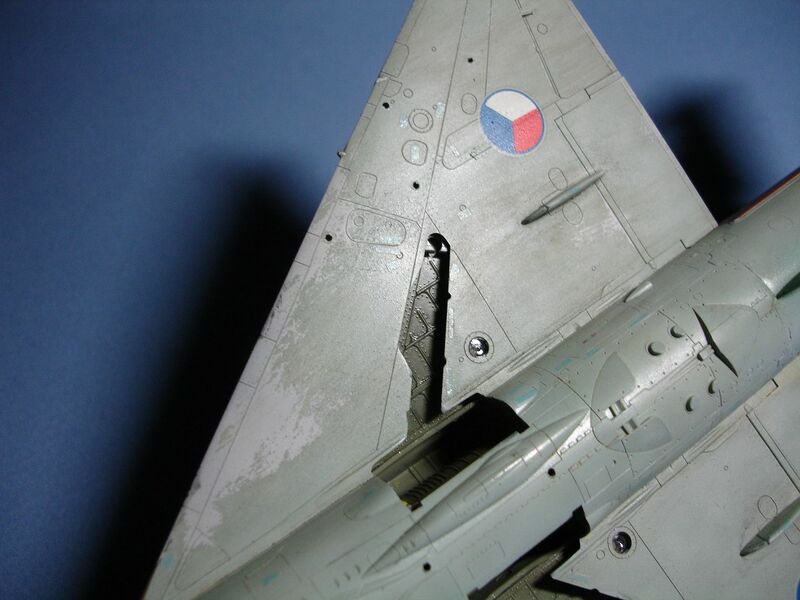 Not to say they were bad at all, they were all perfect, it's just a modern jet, so it's coated in about 100 stencils, and the Eduard sheets provides three or four times as many as you'd need to use. Sorry for the Non-LSP build, just wanted to show what i had done in between working on the Flanker. Thanks Kevin. It was a nice distraction, and a great little kit. 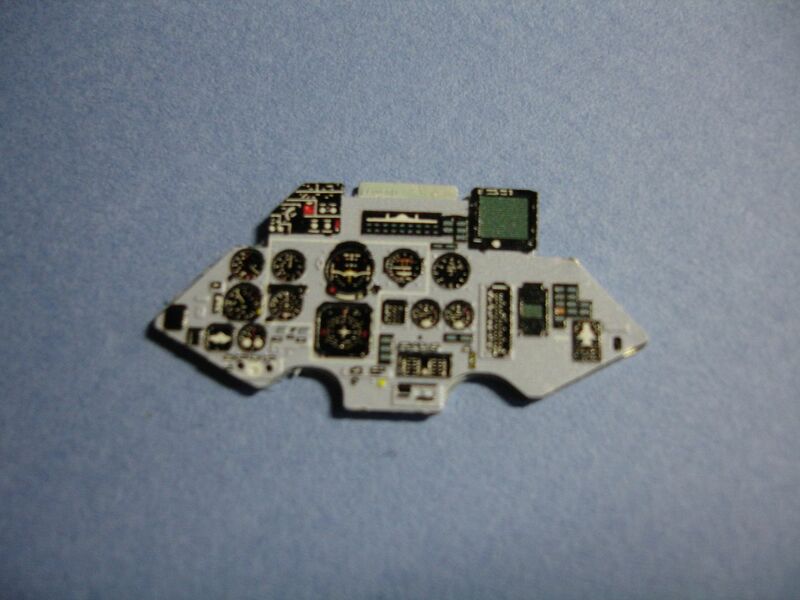 Much smaller than I imagined a Mig-21 to be though, especially once I put down the Flanker and pick it up. Wow, I've been away on biz travel a lot lately and haven't had an opportunity to read this whole thread. Thanks Ron. I hope it gets approved. I think we're all just psyching each other up for it, and you know if it gets approved, you'll already have a few people signed up for it. Nothing wrong with a bunch of Flankers getting built in crazy color schemes, is there? Thanks Harv. I did really enjoy the Mig. I think with the PE I'm just going to have to test it out, and see which version I like better. Now that I have the nice option of either the plastic that I've already painted, or the pre-painted Pe which I just got, all depends on how I feel when it comes time to finish up the cockpit and install it. 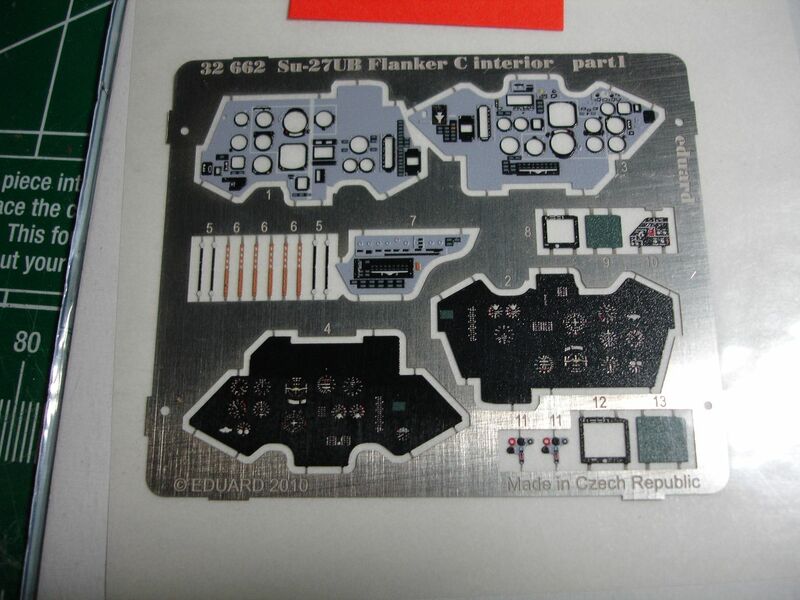 Yeah, love the Eduard IPs and the Flanker side consoles, (will be working on them soon enough likely, GB or not ) but I dont and will never like their self sticky stuff. I ususually use a drop of future in each IP dial, let that dry for at least a week or so (JUST to be sure) then that layer protects the Future from seaping under the second IP layer. Exacty (with the exception of using cellophane from the center of a soft CD case) what I am going to do.........then I covered that in Future, stretched it out 100% flat on a piece of tile, then used strong foil glue on the back of the IP. Hmm, those are some pretty good ideas actually. 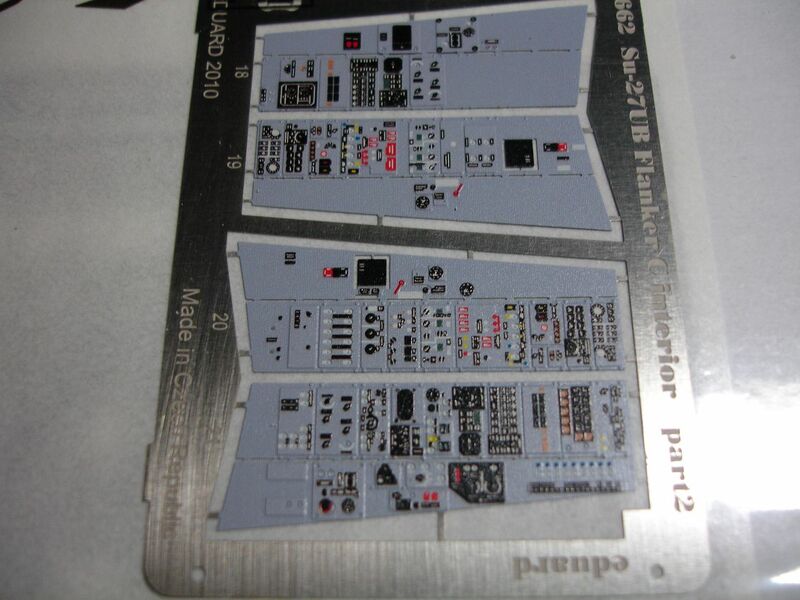 I will probably test the self-adhesive, then probably just add Future to all of the gauges, but if that doesn't work, I can probably just use the Future as a glue layer in between the two layers of the panel, then fill the rest of the gauges with another layer of Future. You know Harv, a punch does make life much easier. I got mine out of Micro-Mark, and wasn't too expensive for everything I need. One other thought i had might be to look at the new Hasegawa self-adhesive foil they sell. I know they do a holographic and gold versions, which could get the same effect. Yay! We got you in! Way to go Harv! I knew the allure of the Sukhoi would be too much. And if you cancel the B-25, that should more than cover all of the additions you need. I still need to order the Aires wheel wells, but the photo-etch stuff has been painted, and the self-adhesive photo-etch is amazing. It's actually so easy to work with, and you can't beat the detail at all. Hey guys. Here's a new update, now that I've got the photo-etch, and have started working with it. 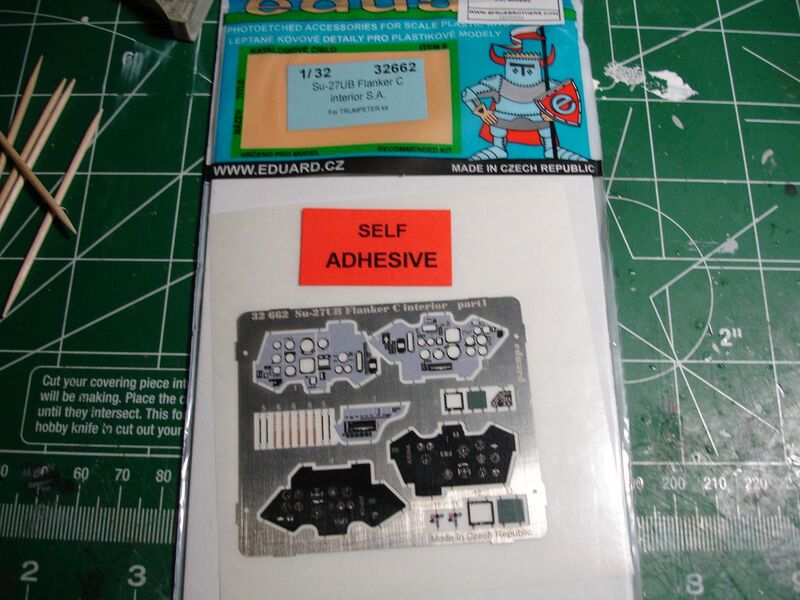 First off, the Eduard stuff is amazing as usual, and the self-adhesive stuff is so cool. 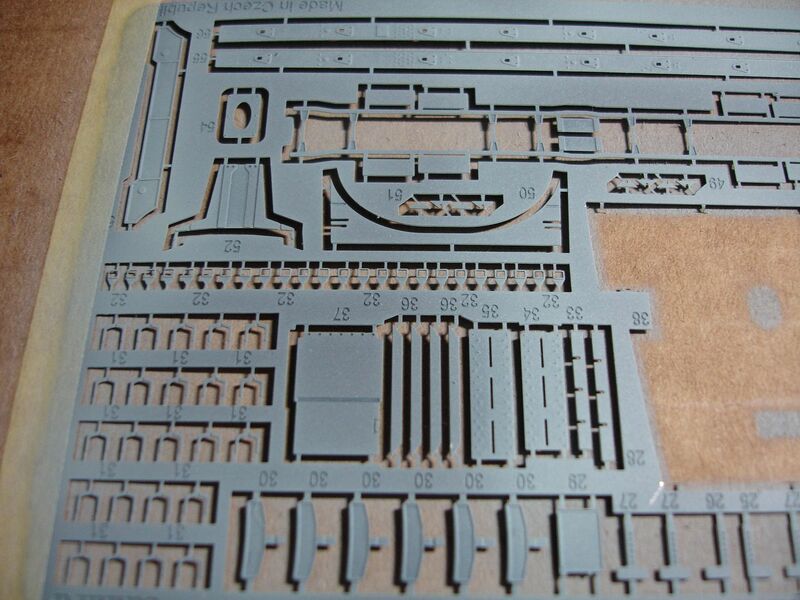 Just cut it off the sprue, hold it by the sides, you can position it as you please, and then press down on them with your finger, and it locks them perfectly in place. Plus you can't beat the detail. All that's left is to add the Future to the gauges. Here are the panels. Have to go make dinner, so I'll finish the update afterwards. Enjoy the teaser guys. 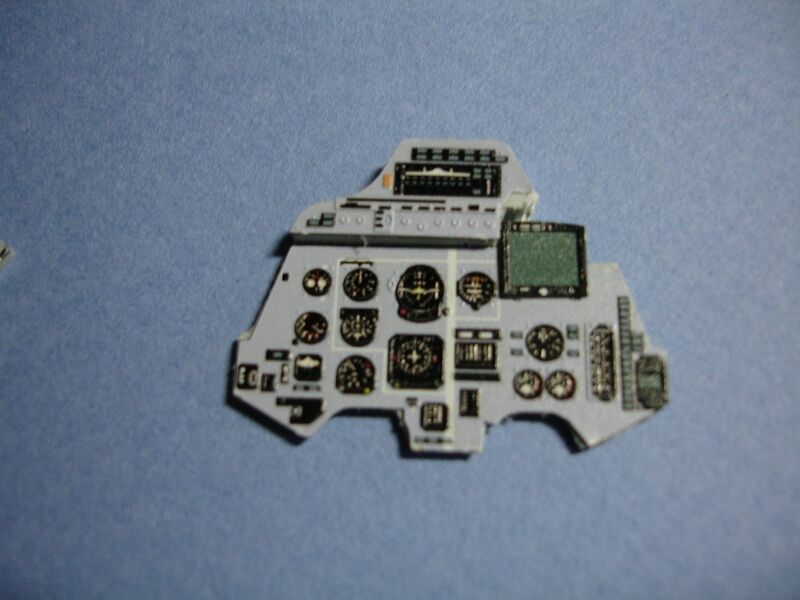 And here I am back with part two of this update, I shot the unpainted photo-etch with RLM 76, just like the rest of the cockpit, then the edges were all dry-brushed with Insignia White. It will probably get an oil wash, once its had a chance to harden, then coated in Future. The rear panel looks pretty good on there, much more detail than the kit. Hope everyone likes how this one is going. I'm so glad to see so many people excited and following this build. I hope to live up to the expectations. Thanks Harv. Good to see you reading in. 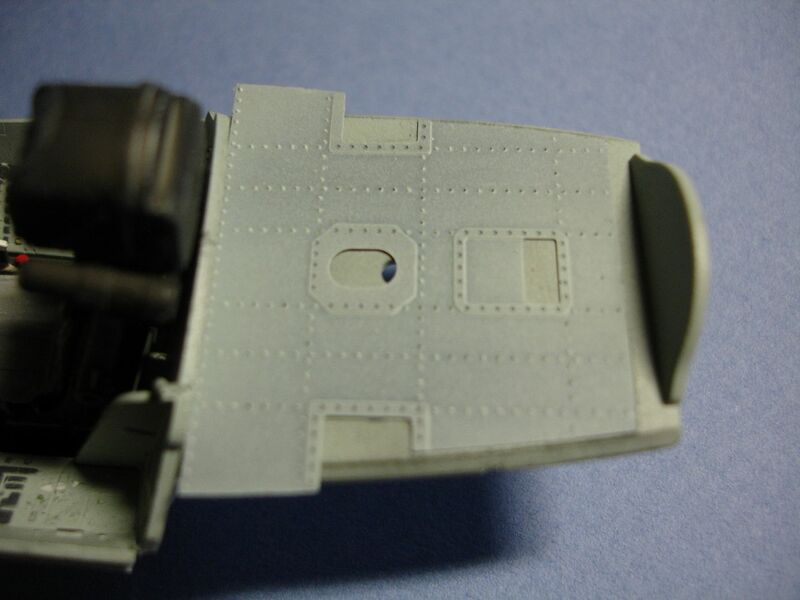 The instrument panels do look good, now I just need to decide whether I'd want to use the photo-etch sidewalls, or the ones I already painted on.... decisions, decisions.